Country of qualification and risk of removal from the UK medical register for misconduct, incompetence or crime? Richard Wakeford gives the numbers in this weeks BMJ. 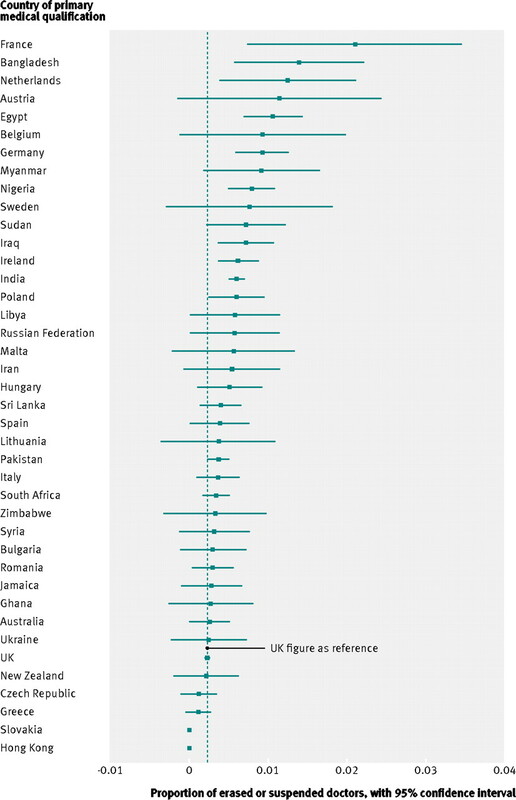 I expected countries where medical training and practice differs most from the UK to take top spots. But six of the top ten are European, and the winner is France. Here’s the table. Click to enlarge. It’s tempting to say: “Typical French – lazy, wine drinkers, bonking their patients” but that national stereotype hardly fits Holland, Germany or Sweden. Perhaps a trip over the water is an easy option if things get hot at home. Read the full article here.